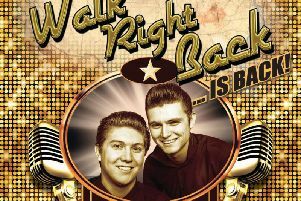 Swing back to the 60’s at Lincoln Theatre Royal next week with New Amen Corner. The Corners as they are affectionately known have gained the respect of 60’s music lovers everywhere, with six national theatre tours now firmly under their belt and with years of experience backing the likes of Chip Hawkes, Chris Farlowe, Cliff Bennett, Dave Berry, Mike D’abo, Mike Pender, PP Arnold, Steve Ellis, Tony Crane and Wayne Fontana. There is no band more qualified than The New Amen Corner to be trusted to keep the tradition of keeping the music of the 60’s alive. Full of timeless classics, this show can help you re-live your childhood or see what your parents were going on about. The show is at the Theatre Royal on Friday, June 10 at 7.30pm.